Anti-abortion groups will claim science is on their side during the March for Life. Media shouldn't let them. Anti-abortion groups will gather in Washington, D.C., for the annual March for Life protest on January 18 under this year’s theme, “Unique from Day One: Pro-Life is Pro-Science,” which claims that “medical and technological advancements continue to reaffirm the science behind the pro-life cause.” This framing is an attempt by the anti-abortion movement to allege that scientific consensus supports anti-choice policies -- an effort shepherded in large part by the Charlotte Lozier Institute (CLI), the research arm of the anti-choice group Susan B. Anthony List (SBA List). Although CLI and SBA List attempt to portray the organization’s members as impartial scientific experts, media outlets should be wary when citing them given the explicit mission of both organizations to oppose abortion. 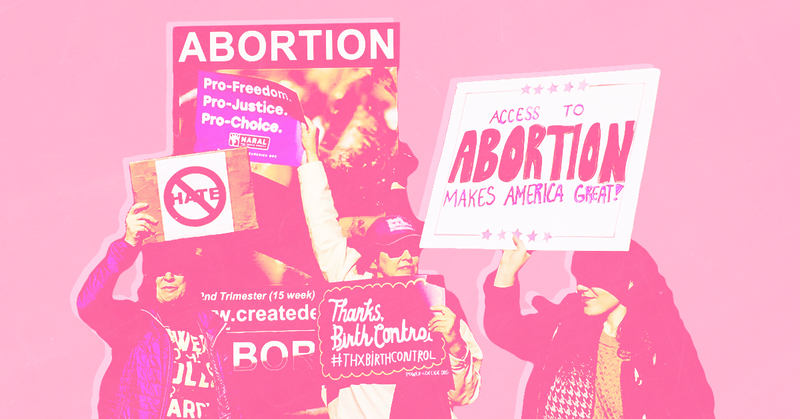 For years, the anti-abortion movement and its allies in right-wing media have erroneously and frequently claimed that anti-choice arguments are supported by science. In fact, CLI was created as part of one such effort to frame anti-abortion research as impartial. Though other anti-choice groups often portray CLI as an independent nonprofit similar to the Guttmacher Institute (which was founded as an official arm of Planned Parenthood before becoming entirely independent), CLI is actually still operated as part of SBA List. 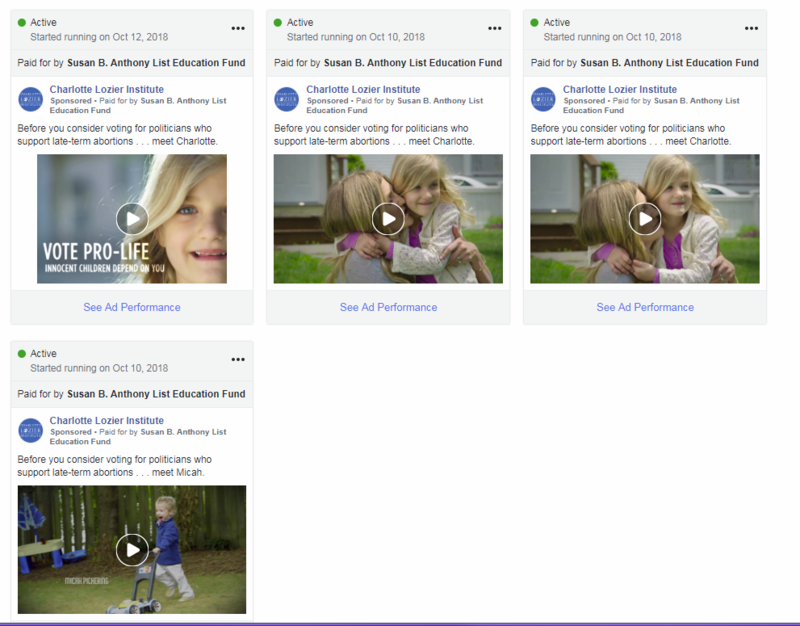 CLI filed its federal 990 tax forms as the “Susan B Anthony List Education Fund” and even ran Facebook ads for SBA List during the 2018 midterm elections. CLI reported that its anti-abortion work involves putting “expert testimony before legislatures across the U.S.” by dispatching its associate scholars, as well as helping anti-abortion crisis pregnancy centers with research to maximize the “outreach and effectiveness” of these fake health clinics. Despite being branded as the “research arm” of the anti-abortion movement, CLI “has so far produced little in the way of original research and data-gathering and has instead published more commentaries and analyses of others’ research that support its agenda on abortion and end-of-life issues," Rewire.News wrote in 2014. Little has changed since then. In 2018, CLI’s vice president published a study challenging the methodology of previous research showing recent increases in Texas’ maternal mortality rate. Another 2018 study by CLI’s vice president claimed that “Planned Parenthood has had a long-term and accelerating inflationary effect on the incidence and prevalence of abortion in the US.” SBA List summarized the research in a press release claiming that Planned Parenthood was “responsible for 3 Million+ ‘extra’ abortions” because Planned Parenthood’s rate of abortions hasn’t followed the same trend as other abortion providers. The rate CLI and SBA List identified likely has more to do with the rapid closure of independent abortion clinics than with Planned Parenthood performing “extra” abortions. 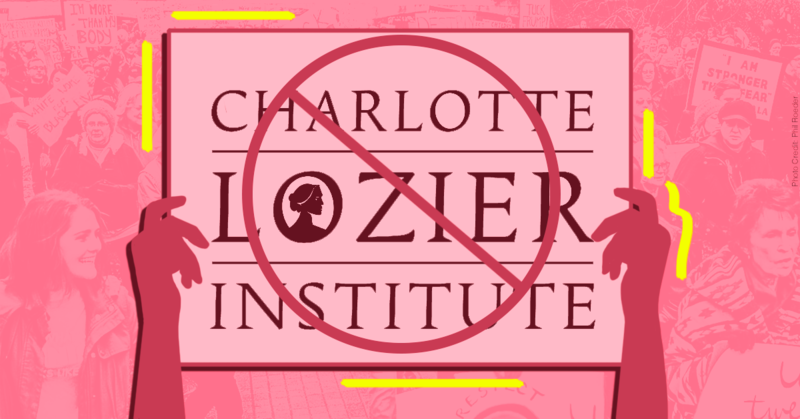 Additionally, right-wing media outlets often publish pieces in which CLI associate scholars who lack backgrounds in scientific research claim to offer scientific analyses of reproductive rights issues. Other recent media coverage has also given CLI a platform to present scientifically unsupported views on various abortion-related issues. For example, as part of the debate over the Trump administration’s push to end fetal tissue research, outlets such as ABC News, The Hill, and NPR each quoted CLI officials who claimed that fetal tissue research is obsolete or unnecessary when, in fact, such a view is unsupported by the larger scientific community. In another example, The Washington Post allowed CLI President Chuck Donovan to claim that the rate of abortions performed in the United States is declining in part because “pro-life views are more prevalent.” Donovan’s claim is unsupported by the actual research cited in the story. Groups like CLI and SBA List often point to media coverage like this as a way of validating their anti-choice viewpoints, further perpetuating the ruse that CLI members are impartial scientific experts worthy of citation. With the anti-abortion movement using this year’s March for Life to allege that “science” supports various anti-choice policies, media outlets have a responsibility to interrogate the qualifications and associations of their sources. 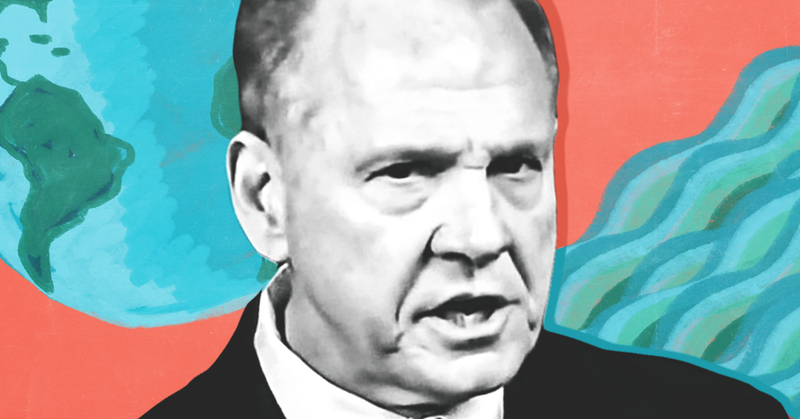 Media Matters has found that, from the time Moore announced his candidacy on April 26 to October 31, the major broadcast evening news shows, prime-time cable news programs, and national newspapers have all neglected to report on Moore's views on climate change, one of the most significant issues he would face if elected to the U.S. Senate. Over the same period, four of the top five largest-circulation newspapers in Alabama also failed to report on Moore and climate change. The Montgomery Advertiser is the outlier: The Alabama newspaper asked Moore's campaign about climate change but didn't receive an answer. In July, the paper ran an article about climate change and the Senate race, reporting that "Moore’s campaign declined to answer questions on the subject." In August, the Advertiser again reported that Moore "declined to answer questions on the issue." Not only is there no constitutional authority for Congress to regulate carbon emissions, but the premise of “global warming” and “climate change” upon which such environmental theories are based does not have the support of a scientific consensus. Not only do scientists disagree on “global warming,” but there is little hard evidence that carbon emissions cause changes to the global climate. This is an extreme manifestation of climate science denial, and it’s outright false. And in December 2016, as Kaufman reported, 12 former Southern Baptist Convention presidents joined other evangelical leaders in signing a letter in support of Scott Pruitt's nomination to head the Environmental Protection Agency, defending Pruitt's call for "a continuing debate" on climate science. Mainstream media have a history of inadequate reporting on climate change, especially during political campaigns. But global warming is expected to have serious negative effects on Alabama including more severe drought, sea-level rise, and increased dangerous heat days, and many national and international leaders have called climate change one of the greatest challenges of our time. In order to provide a full, fair picture of the Alabama Senate race and Moore’s fitness to be a senator, media should report on his climate denial in addition to his other extreme and disturbing beliefs. And there's a clear contrast to draw, as Moore’s Democratic challenger, Doug Jones, has made addressing climate change a key part of his platform. Methodology: Media Matters conducted a Nexis search of print and television outlets using the search terms “Roy Moore” and “climate change” or “global warming.” Our search covered the time period between April 26, 2017, the date Roy Moore announced his candidacy, and October 31, 2017. For television, we searched transcripts of the broadcast evening news shows on ABC, CBS, and NBC and transcripts of prime-time, weekday programs on CNN, MSNBC, and Fox News. For print coverage, we searched pieces published in The New York Times, The Washington Post, USA Today, The Birmingham News, Press-Register (Mobile), The Huntsville Times, The Tuscaloosa News, and Montgomery Advertiser. We also searched Factiva for pieces published in The Wall Street Journal.